George Tzanetakis studied classical saxophone performance in Athens, Greece with Theodoros Kerkezos and has played in various classical, jazz, experimental, and folk settings. While pursuing his PhD in Computer Science at Princeton he continued his music studies with teachers including Steve Mackey, Kofi Agawu, and Steven Everret. He holds a Canada Research Chair (Tier II) in the computer analysis of audio and music and was awarded the 2011 Craigdarroch Award for Excellence in Artistic Expression. 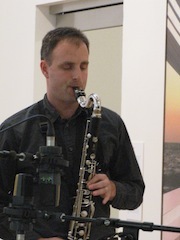 George Tzanetakis has been a core member of the LaSaM experimental music ensemble since 2009 performing on kaval, saxophones, and clarinets. He also has participated and performed several times in the ritual yearly performance in wilderness "And Wolf Shall Inherit the Moon" by R. Murray Schafer. In 2012 he composed and performed a piece for the installation CanonX+4:33=100 by Trimpin. 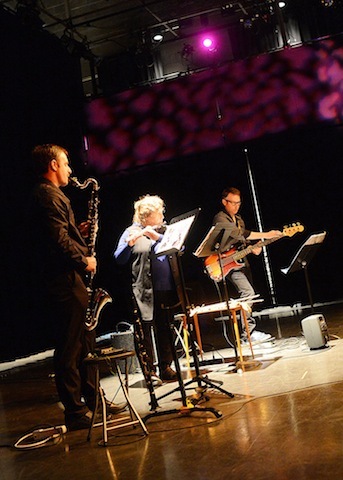 Recordings of compositions, improvisations, and performances.